The internet went wild with the Jonas’ return to music. On March 30 in Atlanta, GA the band’s first full show with cameras allowed was held since their return to music. Kevin, Joe, and Nick kicked the show off with their silhouettes on a screen while music drummed up excitement which turned out to be an epic night of nostalgia. The curtain dropped and the crowd went wild, even though the fans are grown they still manage to get those high pitch squeals out, just like before. Their packed set started off with “Burnin’ Up.” Through the entire night, the crowd was consistently screaming every word back to the trio. What shocked myself and fans alike is the fact that the band embraced their past even singing a Camp Rock film classic, “I Gotta Find You” to the delight of fans. 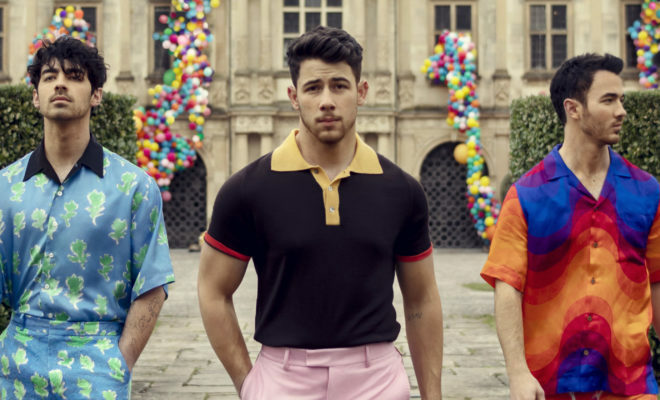 Other notable moments included where both Joe and Nick traded off vocals on their solo projects’ songs, “Cake By The Ocean” from DNCE and “Jealous” from Nick Jonas. It was a showstopping moment to see the brothers serenading the crowd from music on their brother’s solo projects. The night was filled with all of their classics including “Lovebug,” “SOS.” “Fly With Me,” among others. The energy filled performance from the brothers almost made you wonder if they did ever take a break, they were in sync with each other and sounded both vocally and musically on point. The Jonas’ fittingly ended the show with their current single “Sucker” to the shrieks of the crowd. Jonas Brothers have an upcoming NCAA concert in Minneapolis this April, though no new tour dates have been announced- fans are crossing their fingers for more music and more concerts. Jason Aldean Announces 2nd Leg of Burn It Down Tour!